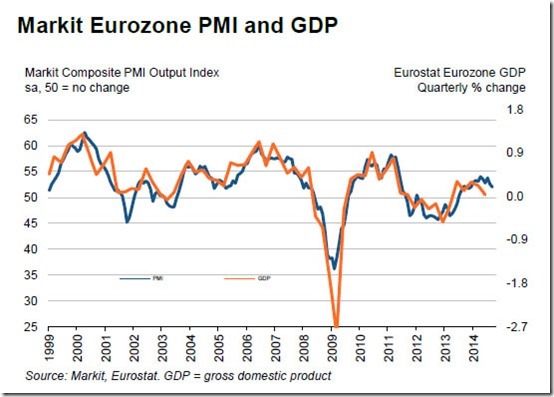 These are all indicators that QE has failed – miserably. The price of gold is the biggest lie of them all. 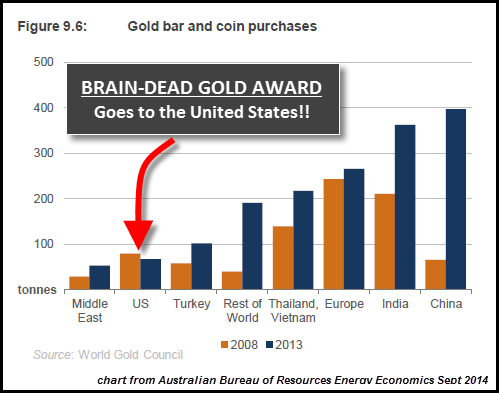 The Government has no choice but to try and exert downward pressure on the price of gold because if the price of gold were allowed to trade freely, it would expose every other big lie. This whole system is one big fraudulent lie. 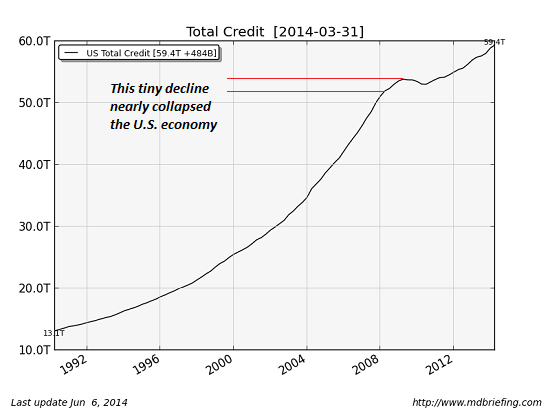 A Ponzi scheme of the magnitude that makes Madoff and Enron combined look miniscule. 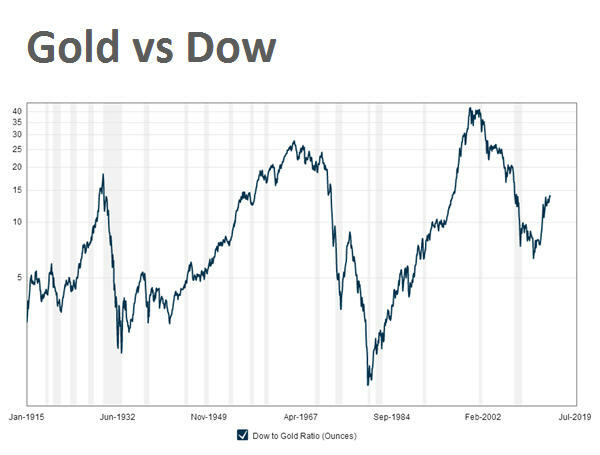 When they can no longer cover up this big lie, the stock market is going to drop – and gold and silver will rise – more quickly and violently than anyone can imagine. It will be the end of our political and economic system as we know it. 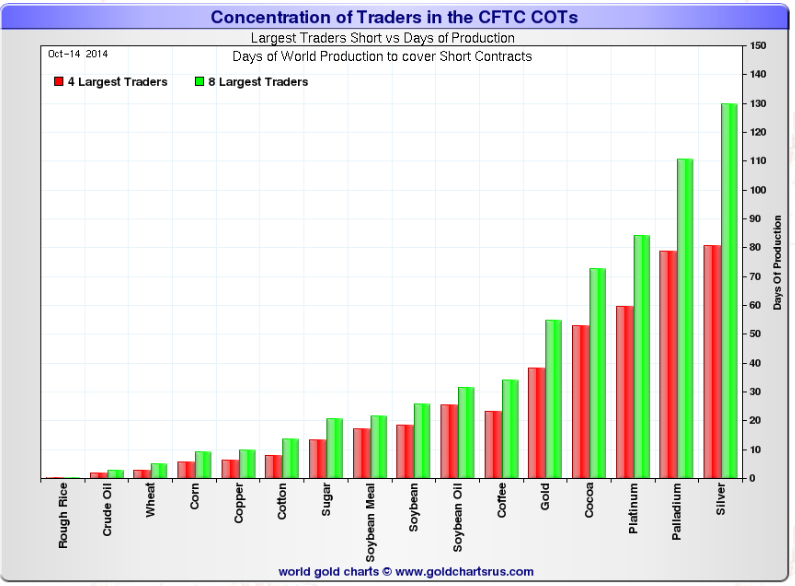 MineWeb's Lawrence Williams writes, China and India alone appear to be taking each month more gold than is being produced. 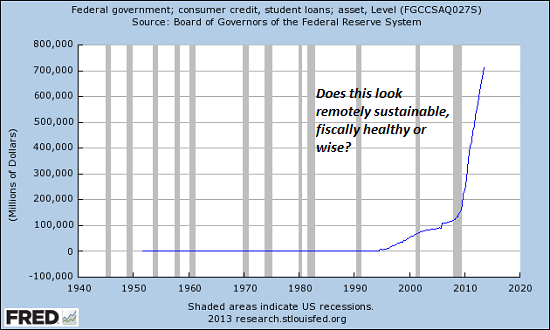 "All indicators suggest that there could indeed be a very large supply deficit building," Williams writes. 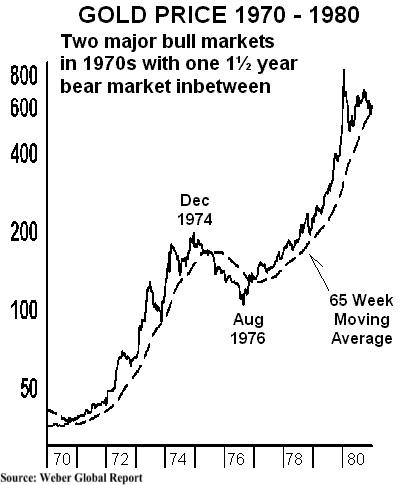 He adds: "One day gold will surely take off but whether it's this week, next week, next month, next year, or 10 years' time remains open to question. It just depends on how long the big money, and perhaps governments, can keep playing the futures markets to keep commodity prices working to their advantage." 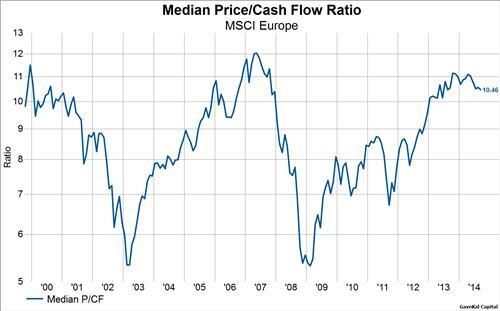 This Great Graphic is from the Dutch Bureau of Economic Policy Analysis (CPB), and was posted by Steve Goldstein at MarketWatch. It shows the three-month average year-over-year growth rate of global trade. The growth of trade slowed dramatically in from the second half of 2010 to the end of 2011. The pace of growth has steadied around 2% over the last thee years. 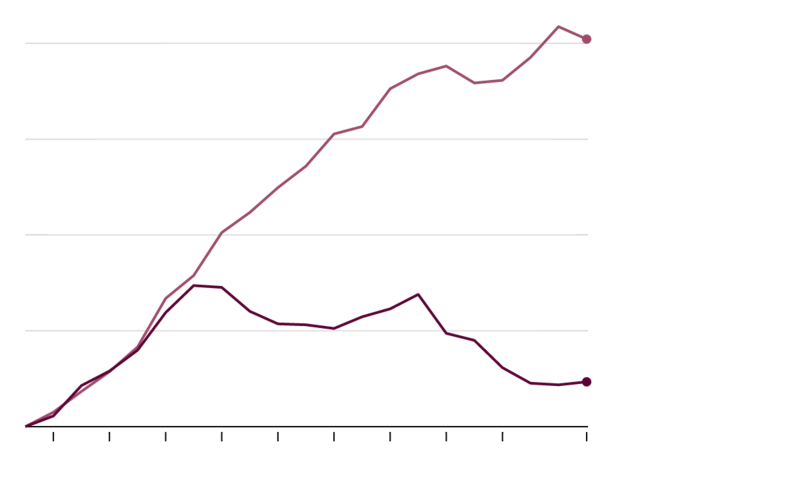 In the 90s and noughts, world trade grew faster than world growth. Over the two decades world trade grew by more than 5% a year. 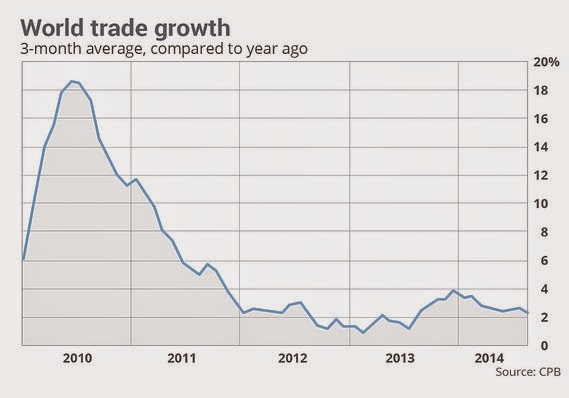 In part, subdued growth in trade in recent years reflects slower world growth. Last month, the World Bank cut its forecast for this year's growth to 3.1% from 4.7%. 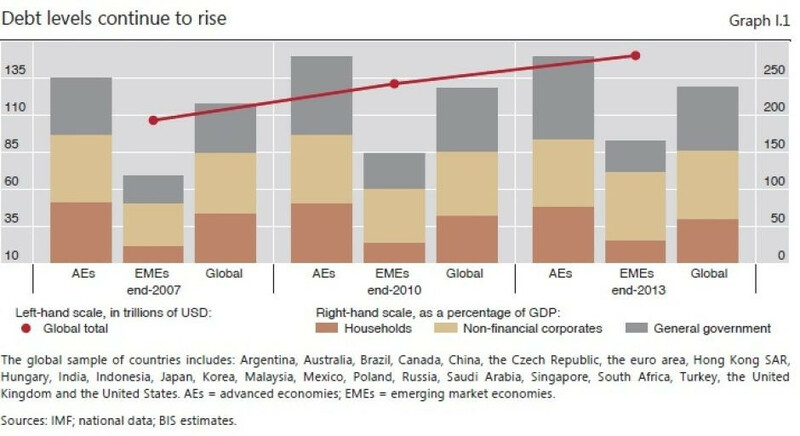 World growth is expected to firm to 4% next year, not the 5.3% pace projected earlier this year. The American Association of Individual Investors survey (AAII) has a good record in signaling important lows. Despite the previous week's large sell-off the survey showed optimism at a six-week high (the survey was completed prior to the Friday rally). That aberration should have been corrected last week. Instead, last week's numbers show optimism surging and pessimism plunging again - implying that the 10/15/14 low was not an "important" low (the "buy the dips" mentality was stronger than any fear created by the market drop). With optimism already more than one standard deviation above average I am beginning to question my forecast for a bullish November. 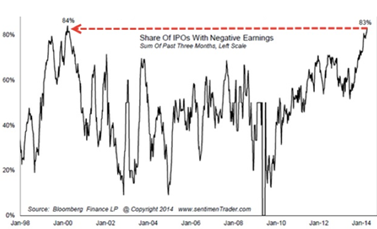 Equities may top out sooner than previously expected . It's looking very possible that the next high may see equities drop to new lows. Shown on the chart below: the largest decoupling between reality and hope in the history of income reality vs expectations. The ratio of coincident-to-lagging conference board indices has an admirable record as a recession forecaster... and is at its lowest level since Sept 2009. 3. 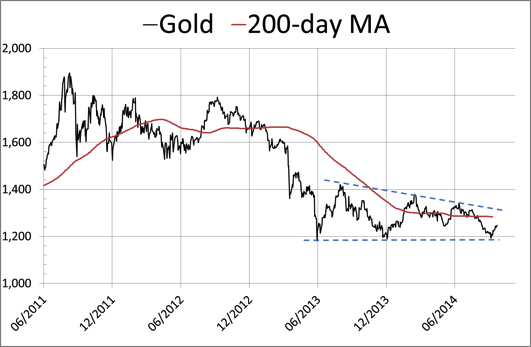 The Swiss National Bank must hold at least 20% of its total assets in gold. Kina köper inte USAs skulder kan det vara så att handelsöverskottets dollar går in i guldet. European equities had their 42nd straight month of earnings downgrades in September, with an average of 100 downgrades per working day since March 2011, says a recent report from UBS. That’s not quite as bad as Japan’s 51-month downgrade streak in the early nineties, and fortunately there are signs that estimates could finally turn around. “Bottom-up consensus earnings estimates have tended to be perennially too optimistic across many Global Equity markets. But even by these standards, the sheer persistence of downgrades in Europe over recent years has been dramatic,” write UBS strategists Nick Nelson and Karen Olney. Otroligt att när resultaten för bankernas stresstest presenteras så har man inte lagt in ett scenario med deflation. Den här veckan kommer med största säkerhet FED avsluta sin QE3. Vi vet vad som hände med börsen när tidigare stimulanser avslutades. Frågan är vad som händer denna gång. When the first round of QE purchases was completed in March 2010, the S&P fell by more than 13% during the next few months. 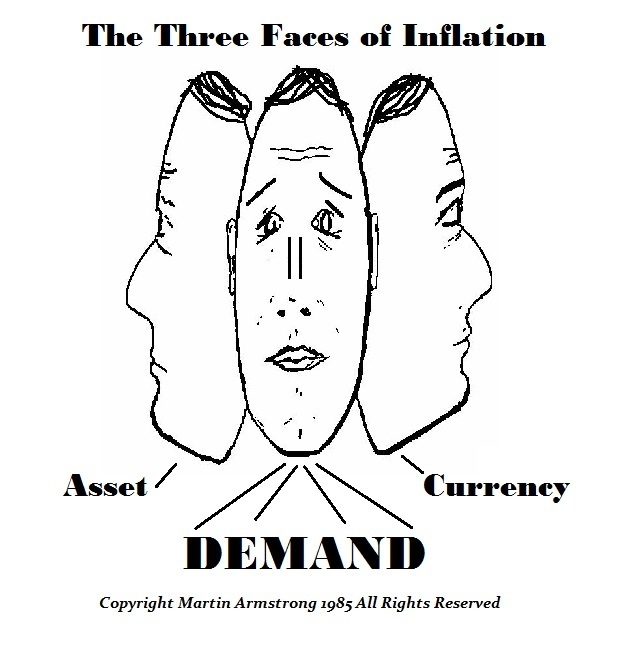 During roughly the same time period, the 10-year note yield fell from 3.85% to 2.38%, commodity prices tumbled around 10 percent, and the M3 money supply dropped from a positive 2%, to a negative 6% annual rate of change. Similarly, once QE2 ended in June 2011, the S&P fell by 17% within three months. The 10-year note yield dove from 3.2% to 1.8%, and again coincided with a plummet in commodity prices and M3 money supply. Rekordefterfrågan för silver samtidigt töms lagren och det är rekordmånga kortningar vilket kan leda till en snabb uppgång om kortningarna måste täckas in. 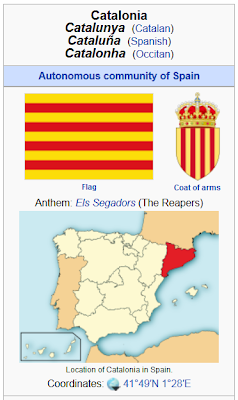 Nationella skulderna inom EU och dess förändring. Det är inte många länder som minskar sin skuldbörda. S&P 500 bröt förra veckan den uppåtgående trendlinjen och även 200 dagars. Nu har vi en bounce tillbaka över 200 dagars men kommer uppgången att hålla denna gång. FED upphör nästa vecka sina stimulanser. Om inte dom största bolagen visar nominell tillväxt kan det bli svårt att få till någon tillväxt globlat. Bolagen går upp på återköpen vilket inte är en hållbar affäride. Caterpillar visar bättre vinst tackvare återköp av aktier. Vem köper aktier i bolag utan tillväxt och återköp av aktier. Såsom Wal-Mart går brukar den amerikanska ekonomin gå. Verkar inte så lovande. 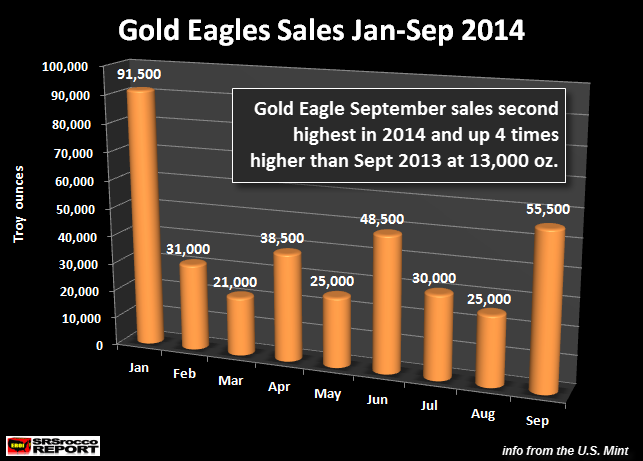 Wal-Mart slashes Sales estimates by nearly 50% - October Retail Sales drop - Slowing US trend is accelerating. Första mätningen för hur det skall gå i folkomröstningen i Schweiz för uppbackning av guld visar sig vara klart för ett Ja. The first opinion poll has just come out. The Swiss paper just published the opinion poll. The ‘Yes’ camp has 45 percent and the ‘No’ camp has 39 percent, with 16 percent undecided. This is a shocking development because the Yes campaign hasn’t started yet (see stunning polling results below). Guldet testade 50 dagars och är nästa steg upp till $1280 samtidigt som dollarn har toppat ur. 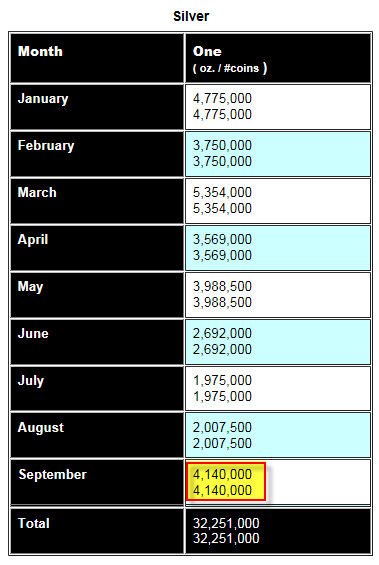 In fact, McDonalds sales in the US have have now gone a whopping 11 months without posting a positive sales month, the longest stretch on record! Likviditeten avtar och det bör innebära att den likviditets styrda börsen bör vända ner efter de senaste dagarnas bounce. Totala skulderna i USA ökar exponentiellt och måste göra det för at få någon form av tillväxt. Vi har nu en skuldbubbla som kommer att explodera. 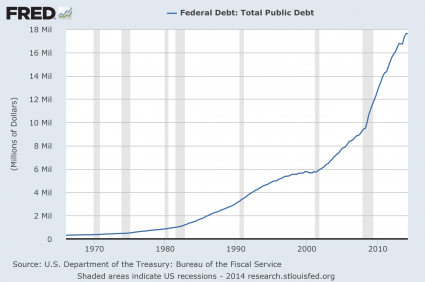 On September 30th, 2013 the U.S. national debt was sitting at $16,738,183,526,697.32. As I write this, the U.S. national debt is sitting at $17,742,108,970,073.37. That means that the U.S. national debt has actually grown by more than a trillion dollars in less than 12 months. We continue to wildly run up debt as if there is no tomorrow, and by doing so we are destroying the future of this nation. Ryssland fortsätter att fylla på guld i sina lador. Värderingen på världens börser är hög trots den sanste tidens nedgång. Kinas BNP för Q3 blev 7,3% diskrepansen mot Bloombergs beräkning utifrån vissa ekonomiska data är nu rekord stor. Vem skall man lita på. IBM långt under förväntan. Har lånat till stora återköp istället för att satsa på tillväxt. Detta straffar sig nu med sjunkande aktiekurs. Bloomberg Commodity Index på samma nivå som 2009. Deflation trots globala pengatryckningar kommer att leda till ändå mer nya dollar, yen, euro och pund. 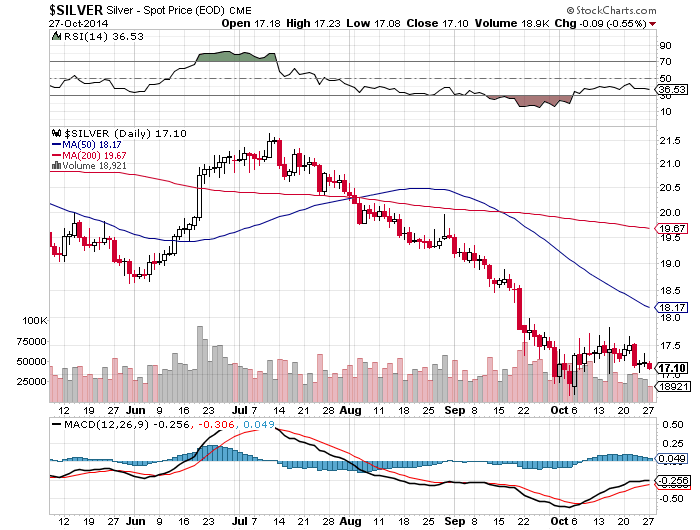 Extrema kortningar i guld och silver. Vi kan få se stora lyft om kortningarna måste täckas. 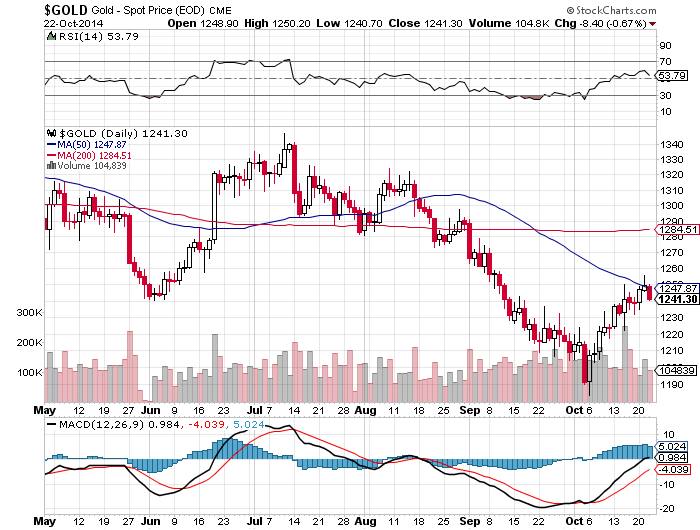 The outlook for gold is now more positive than it has been for some time. After a prolonged period of low volatility as funds invested in ever-greater risk, markets have snapped and volatility has jumped. 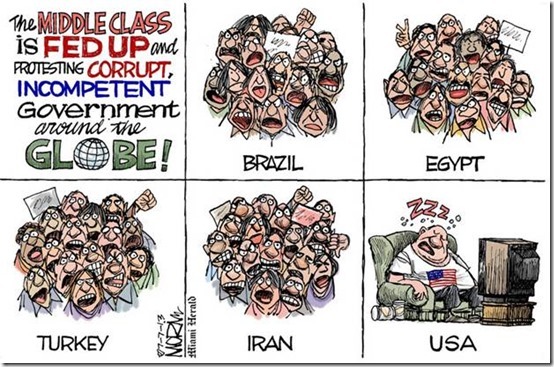 In short, we are swinging very suddenly from complacency to reality. Financial markets hit a serious air-pocket this week, with a collapse in US Treasury bond yields in a dash-for-cash, illustrated in the chart below. 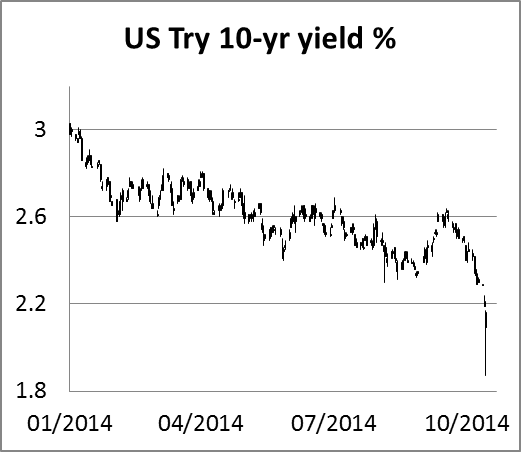 On Wednesday the yield fell from 2.21% to 1.87%, a move of over three whole points on the price, which for a ten-year maturity is truly exceptional, though it did rally subsequently. The relevance to precious metals is there are many hedge funds which have bet on rising bond yields and a falling gold price. 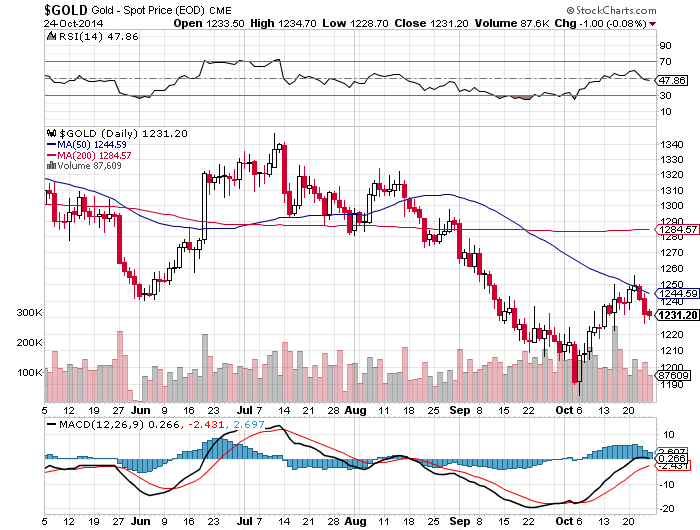 And given that these funds gear their trades up through futures markets, the losses will have been considerable. 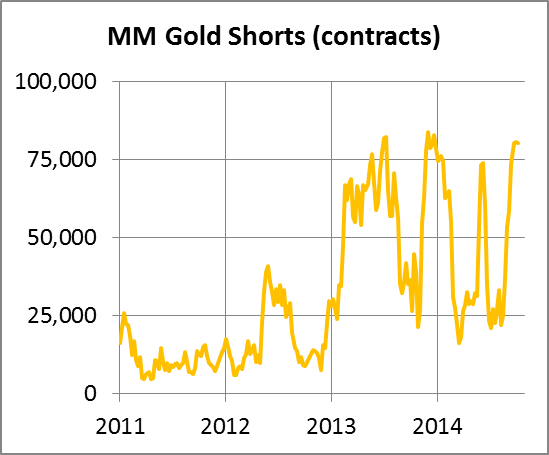 Indeed, hedge funds recently held near-record short positions in gold, shown in the next chart of Managed Money shorts on Comex. 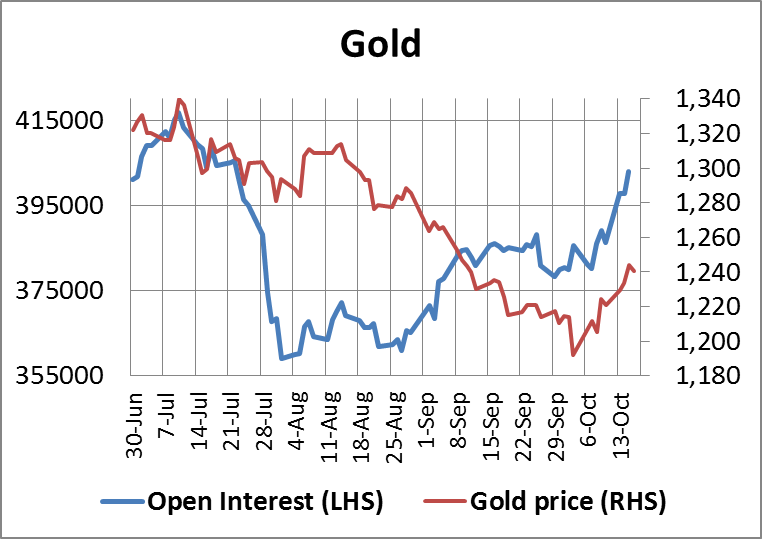 The Managed Money category includes hedge-funds, high frequency and also algorithmic traders, most of which are hard-wired into higher interest rates next year and as we can see from their short positions, they have placed large bets that the gold price will fall. 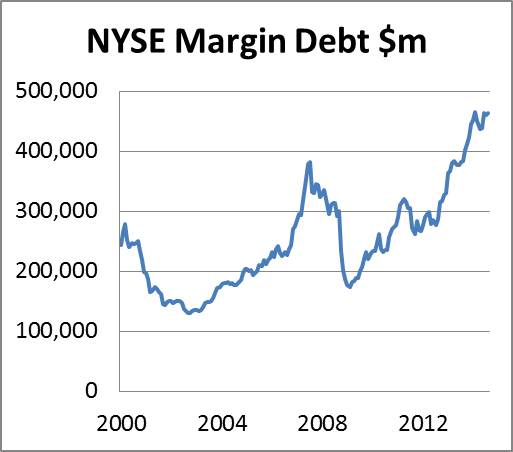 Extreme positions are also reflected in equities, with margin debt hitting new excesses, as can be seen in the next chart, of margin debt on the NYSE. 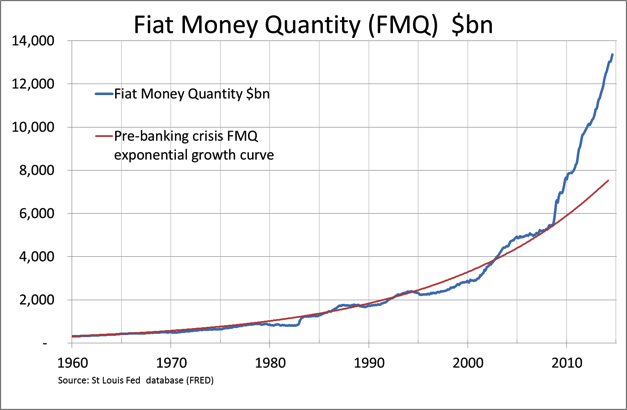 In August this figure stood at $463bn, which was considerably higher than at the 2007 market peak before the banking crisis, and is approaching double the highs seen during the dot-com bubble. 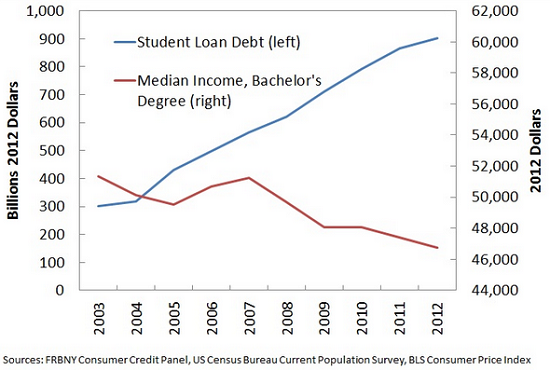 This level of financial leverage is likely to do significant damage as it is unwound. 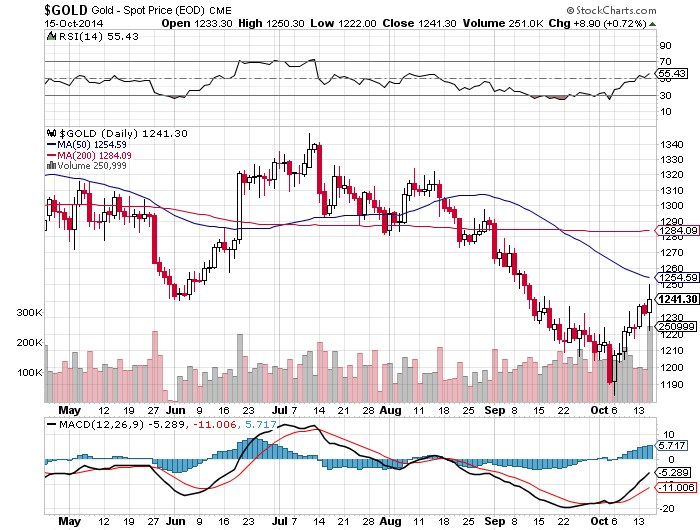 So far, gold has held firm. 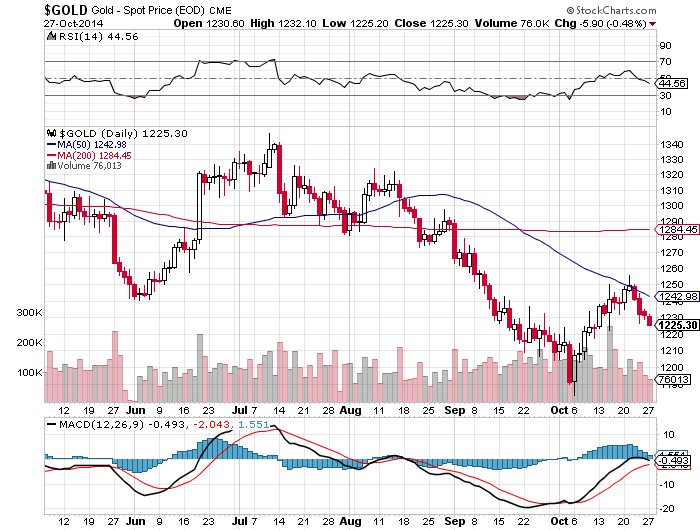 Having rallied from $1185 last week, this week it gained modestly to $1240 in early London trade this morning. Open Interest has recovered consistently showing that new buying and not short-covering has been driving prices as shown in the next chart of Comex Open Interest. 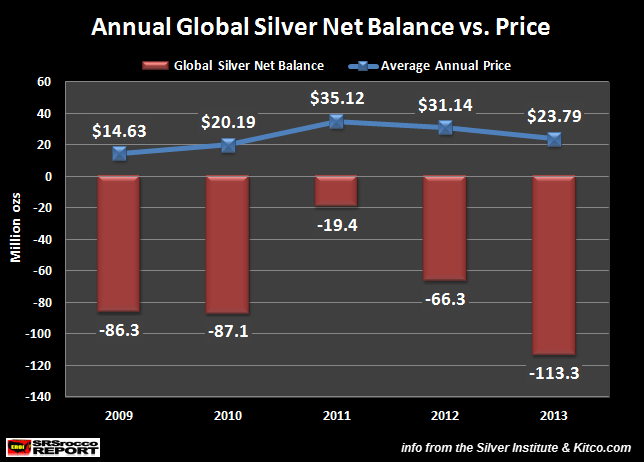 Silver's recovery has been subdued, and as a result the gold/silver ratio has risen to over 70. 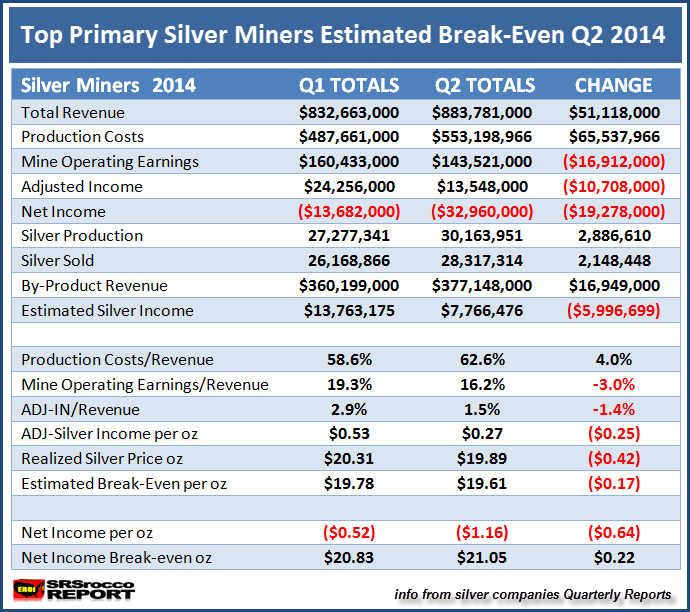 Silver and the platinum group metals seem to be affected more by deteriorating manufacturing prospects than their monetary characteristics. Palladium in particular has been hit hard, falling up to 9% this week. When we see bond prices for Greek sovereign debt collapse, yields for Spanish and Italian debt start rising while others are falling; when we see the outright bullishness expressed by excessive margin debt in equity markets; and when we see oil prices nose-dive, we know that markets are on the edge of substantive change. 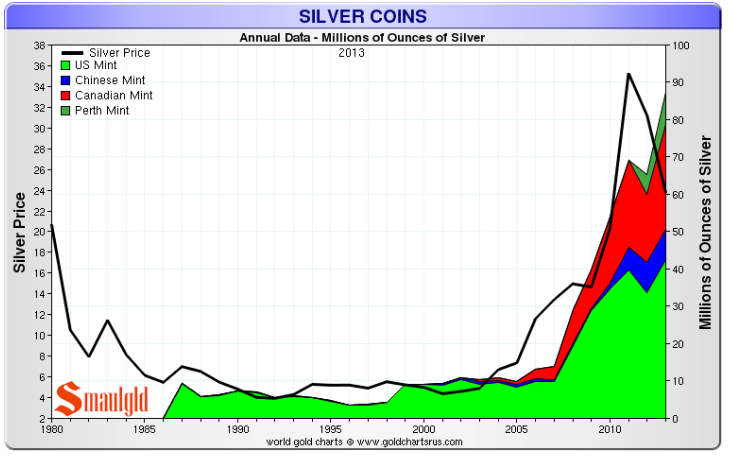 The attraction of holding some physical bullion as insurance against what looks like developing into a serious market fall-out has gained several notches. 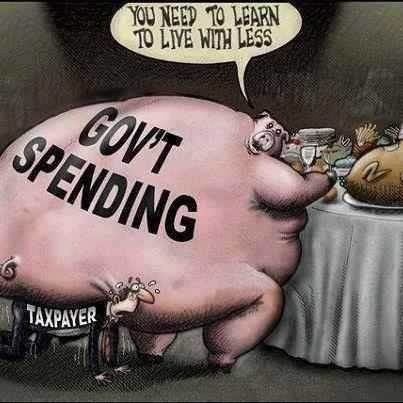 Since 9-11 national debt (official) has increased from $5.773 Trillion to $17.858 Trillion, an increase of $12.08 Trillion. 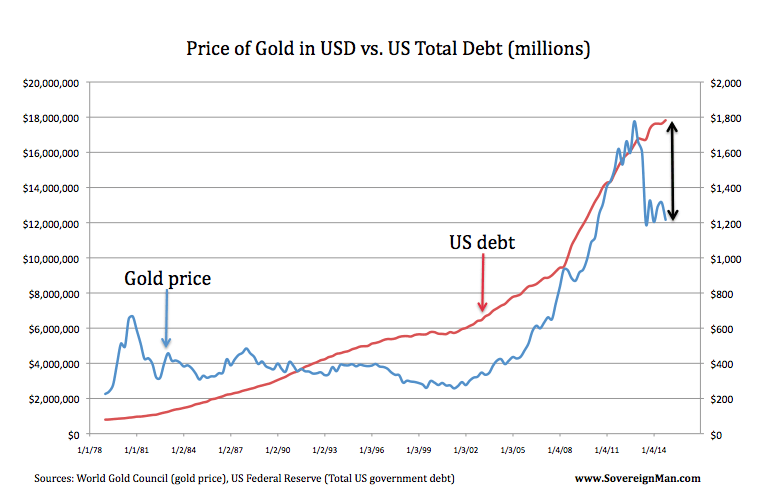 Note the increasing ratio of gold prices to national debt after adjusting for increased population. Hur 64-66 månaders cykeln fungerar på olika marknader. Vi är där nu för dagens aktiemarknader och stämmer det så har vi svarta pisten framför oss. Hur skall Italien komma ur sin skuld spiral samtidigt som EU går in i en ekonomi med deflation. ECB måste printa pengar och det med högt tempo. Mindre företag i USA har planer på att anställa färre och investera mindre. Inteckningsbanken Wells Fargos inteckningslån på botten nivåer. Var skall banken finna intäkter? Börjar marknaderna inse att det inte finns mycket till tillväxt och luta sig mot. Lyssna om Schweiz folkomröstning när det gäller om man skall backa upp valutan med 20% guld. Silvret är helt klart på botten, frågan är vad som är triggern till en större uppgång. 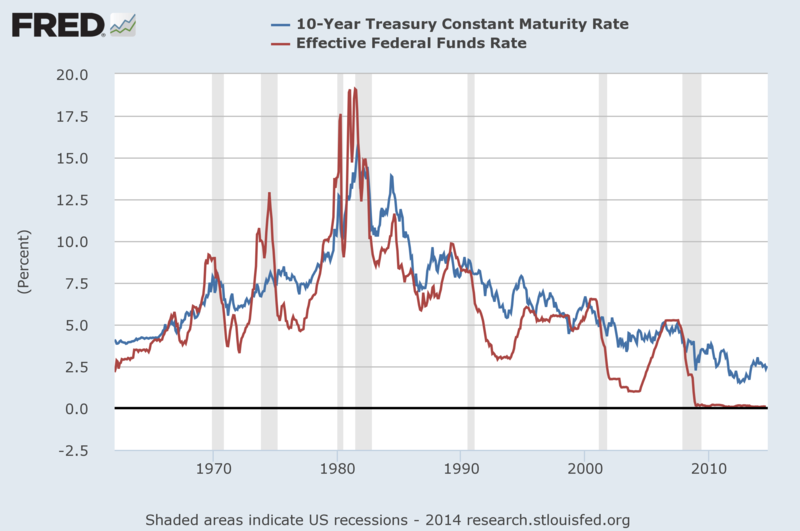 “This rate is the most important market signal on the planet right now. 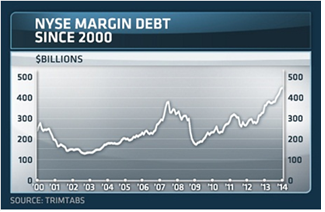 Everybody is watching the chart, and it has just gone off a cliff,” said Andrew Roberts, credit chief at RBS. Har myndigheterna kontroll på Ebola viruset????????????? En sak är säker och det är att det är inte utbud och efterfrågan som styr guld och silverpriset. Idag delas Nobels Fredspris ut. Obamas fredspris ser idag ut så här. 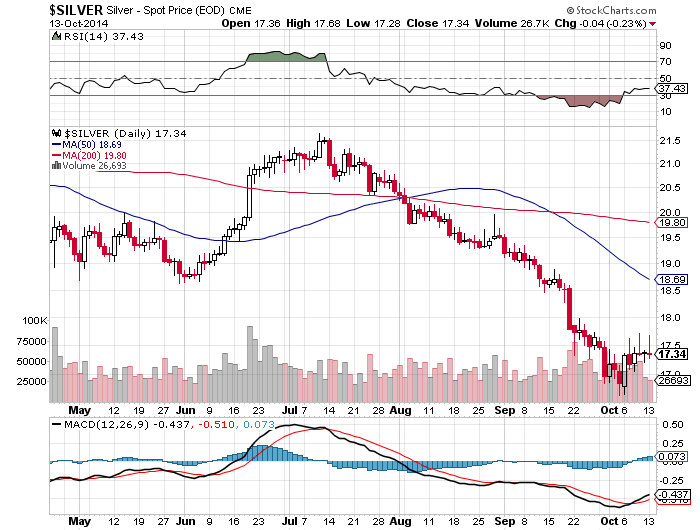 As Goldman's Amanda Sneider says, expect disappointing revenue results and negative EPS guidance. 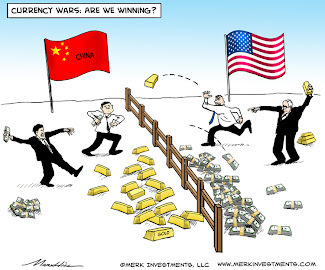 The reason: weaker macro data and dollar strengthening increase the likelihood of sales misses. Goldman also anticipates increased negative earnings guidance as companies quantify the FX headwind. The one positive offset, if not for energy companies, is that the net impact of oil changes on index-level EPS tends to be modest as firms benefit from lower input costs. Europa skulle inte bli ett nytt Japan. Här är verkligheten. Smittar Ebola via luften eller inte?????????????? 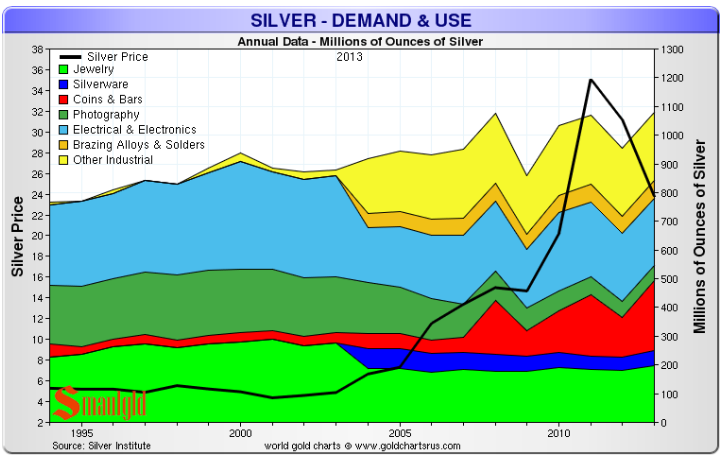 The most important factor right now is the physical shortage of gold. 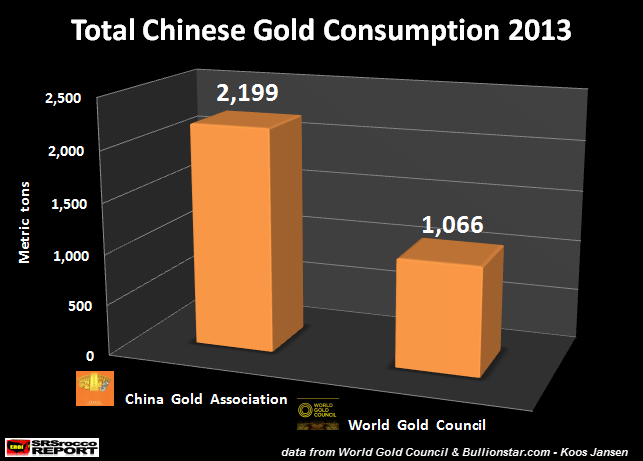 The declining amounts of gold in Shanghai storage suggest we are getting close. 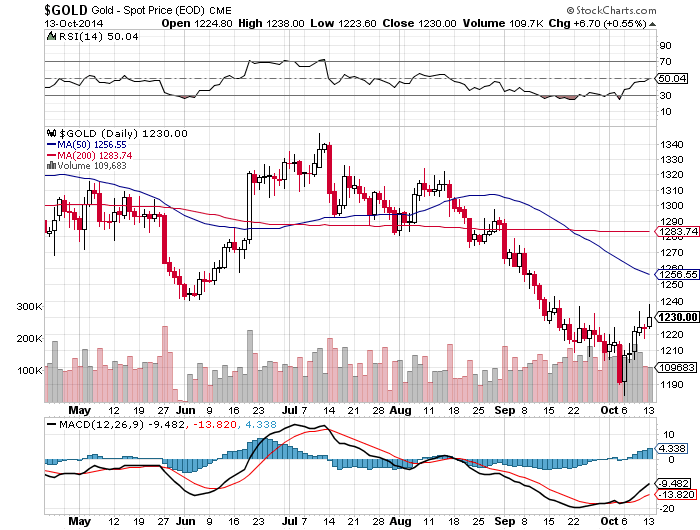 So I expect something to happen in the physical gold markets soon. 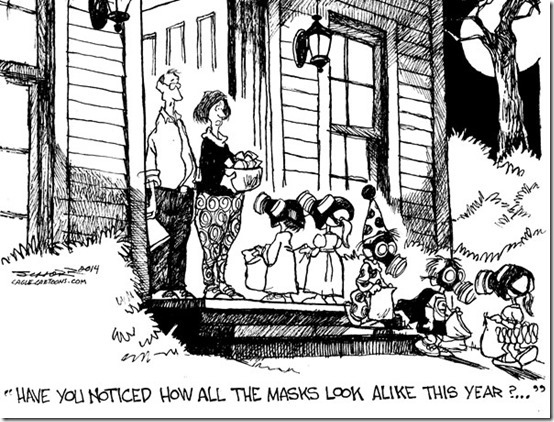 There are lots of people who are willing to support the Fed – to play along with it. But of course, they’re all looking at the exits if the game changes. I don’t really think there are that many people who sincerely believe there is some strong recovery, or that there is some plan that’s going to solve the financial crisis. 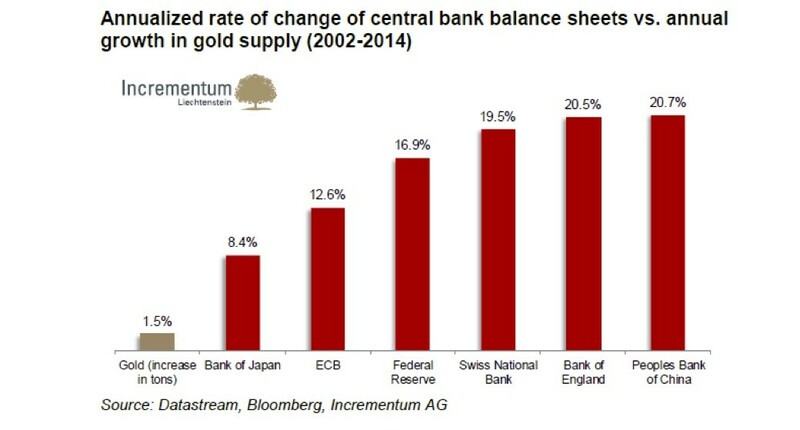 The central banks continue to pile on debt without delivering results. I think that most people understand that. We’re seeing stocks going higher while volumes are going down. Well, when you hit new records in the S&P, the Dow and the NASDAQ, you’re supposed to be seeing higher volume, not lower volume. That doesn’t seem to make sense. 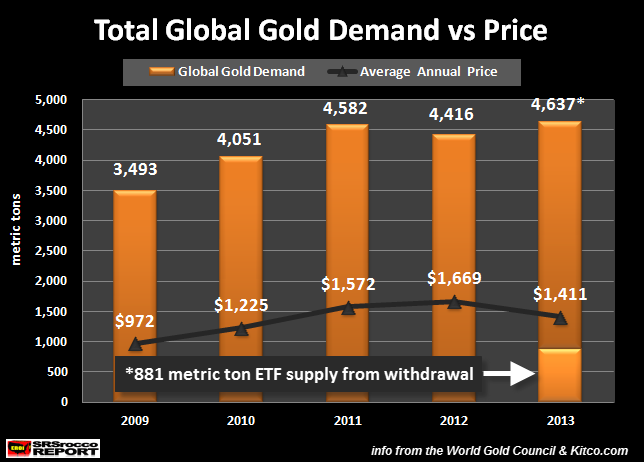 When people finally decide they want to buy gold, there probably won’t be any gold. I’m happy to own it and I’m happy to keep buying it. Kreditkortsskulder i USA minskar medans bil och studentlån fortsätter att öka. Det är inte rätt utveckling om man väntar sig en bättre konsumtion. CDC medger nu att det kanske är möjligt att Ebola sprids genom luften. 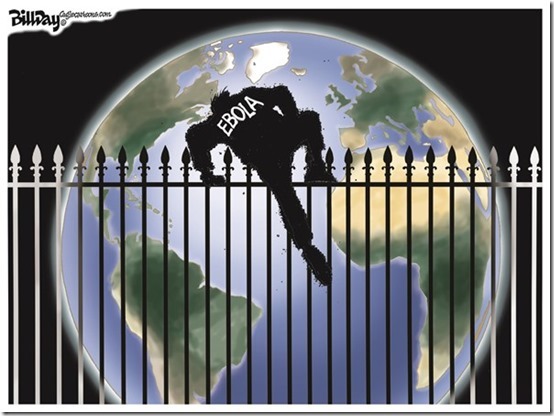 Scientists have said for some time that Ebola may be spread through coughing, sneezing and other aerosol transmission. 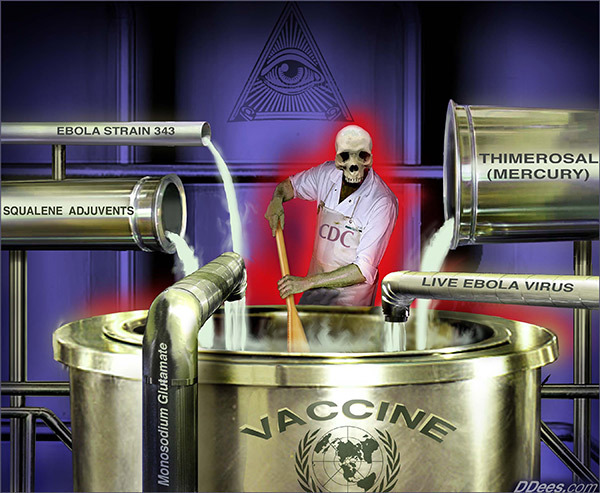 The top American health agency - the U.S. Centers for Disease Control - has denied this for months. But CDC has finally been forced to admit that it's true. Skulderna i USA ökar betydligt fortare än BNP med konstanta budgetunderskott. Idag ger en ökad dollar i skuld nästan ingen tillväxt vilket tyder på att vi är nära slutet på detta monetära system. Guldet klart undervärderat i jämförelse med USAs skulder borde vara närmare $2000. Kan vi vänta oss en liknande utveckling för guldet som på 70-talet. Under USAs verksamhetsår som slutade 30/9 ökade statsskulden med $ 1,1 triljoner till $17,8 triljoner. Lyssna om folkomröstningen i Schweiz när det gäller guldet. 71% utav dom som bor i Catalonia är för en folkomröstning den 9/11 för självständighet. Frågan är om det blir av. Since the start of July, S&P 500 Q3 earnings expectations have collapsed from 11.0% to just 6.4% with 9 of the 10 sectors lower and Consumer Discretionary now expected to see negative growth. Har vi nu sett en normal rekyl för guldet och kan börja se en uppgång. Tillväxt skapas genom att fler arbetar och att lönerna går upp vilket inte är fallet i USA. Börsen går upp på vad som verkar vara starka jobbsiffror vilket inte var fallet. While by now everyone should know the answer, for those curious why the US unemployment rate just slid once more to a meager 5.9%, the lowest print since the summer of 2008, the answer is the same one we have shown every month since 2010: the collapse in the labor force participation rate, which in September slid from an already three decade low 62.8% to 62.7% - the lowest in over 36 years, matching the February 1978 lows. 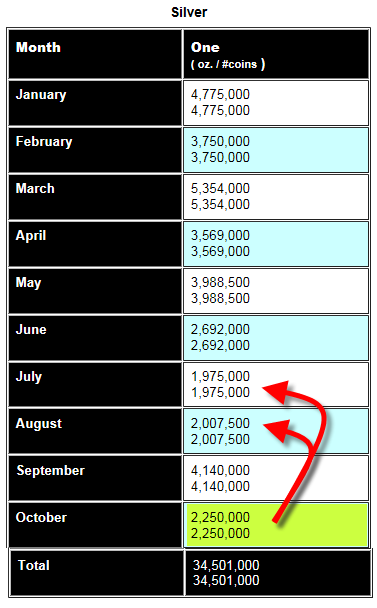 And while according to the Household Survey, 232,000 people found jobs, what is more disturbing is that the people not in the labor force, rose to a new record high, increasing by 315,000 to 92.6 million! And that's how you get a fresh cycle low in the unemployment rate. • 24% var "monetärt reformerade"
FED kommer nu i oktober att avsluta sina köp av obligationer vilket kommer att innebära en betydligt lägre likviditet i marknaden. Samtliga gånger förut då dessa stödköp har upphört har börsen gått ned. Drar man ned likviditeten till ett pyramidspel kommer pyramiden att rasa. Värderingen för S&P 500 är på rekordnivåer när det gäller i förhållande till företagens försäljning. Vi har idag högre värdering än 2000 och man skall ta hänsyn till att idag har vi svårt att skapa tillväxt och därför bör denna värdering vara klart lägre än vad vi har idag. Diskrepansen mellan aktier som sätter nya årshögsta och dom som sätter nya årslägsta blir fler och fler vilket i längden blir ohållbart. Skillnaden är idag den högsta sedan Augusti 2013 vilket var den perioden då QE startade. Idag är det den perioden då QE avslutas och marknaden får klara sig själv. Idag har USAs börser ett börsvärde motsvarande ca 203% av BNP vilket är ungefär samma nivå som när börsbubblan sprack år 2000. Skall jämföras med 1929 då motsvarande värde utgjorde ca 87% innan den bubblan sprack. Vi har bara sett dessa värderingar enligt P/E Shiller tre gånger under de senaste hundra åren och det har varit mycket snabba nedgångar efter samtliga toppar. Företagens vinstmarginaler är på all time high vilket indikerar att det med största sannolikhet kommer att justeras ned till den mer långsiktiga nivån nu när vi fått en högre lång ränta. En av anledningarna till sämre vinstmarginaler i framtiden är högre räntor och att man kommer behöva betala sina anställda mer då dessa har haft en vikande löneutveckling under många år. Det presenters nu sämre ekonomiska siffror vilket indikerar att FED drar ned sin stimulering i en vikande ekonomi. Det är inte bara USA utan även Japan och Kina som just nu har stora problem med den ekonomiska utvecklingen. Inom EU har man deflations problem och tillväxten vägrar att ta fart. Att börserna globalt är nära all time high under dessa förutsättningar indikerar bara att vi kan vara nära en mycket kraftig rekyl globalt. Återköpen av aktier har ökat de senaste åren och många företag har lånat till återköpen. Börjar man nu diskontera dyrare lån och mer investeringar inom företagen kommer dessa återköp att minska och därmed reducera kapitalet som har flödat till börsen. 9) Insiders säljer aktier samtidigt rekordnivåer för belåning av aktier. Under 2014 är det endast ca 7200 som köpt aktier I bolag där man är klassad som insider. Detta skall jämföras med att det är ca 23 300 som har sålt i sina bolag. Detta är ungefär samma köp/sälj ratio som under år 2000. Belåningen är samtidigt på rekordnivåer vilket kan få margin calls att aktivers snabbt om börsen börjar gå ned under kort tid. Under hösten har det gjorts ett antal mycket kapitalkrävande IPOs i USA. Alibabas introduktion kan mycket väl vara satt på den absoluta börstoppen. Man kan lätt få uppfattningen att börsen har hållits på denna höga nivå för att få Alibabas introduktion klar och bankerna kan kassera in feta arvoden. 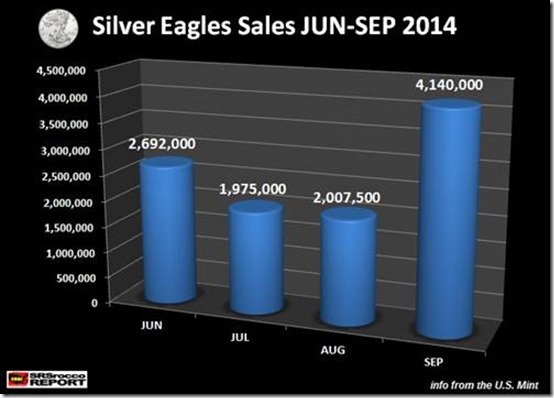 Silver Eagle sales were quite strong in the beginning of the year and started to slow down in June. 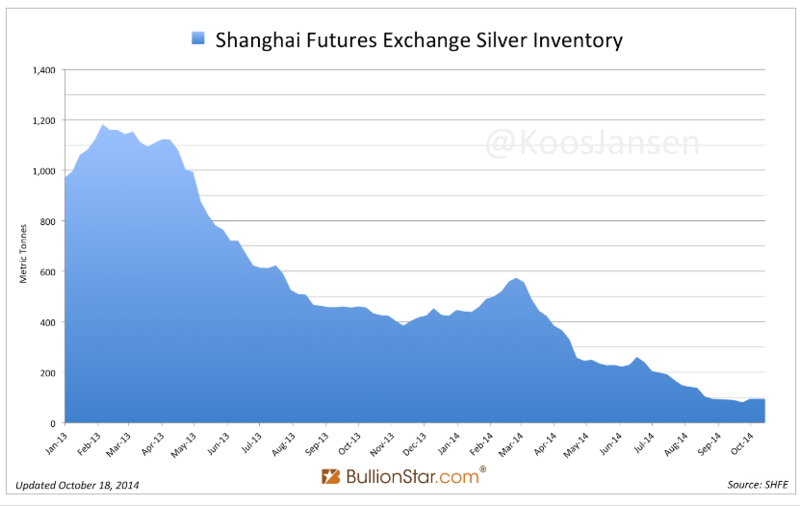 However, the manipulated lower price of silver motivated investors to ramp up the purchases making September one of the three strongest months of the year. Studentlånen i USA ökar exponentiellt samtidigt som det inte betalar sig att studera. 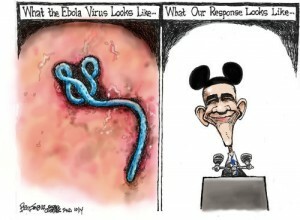 USAs government beställer skyddsdräkter mot Ebola. 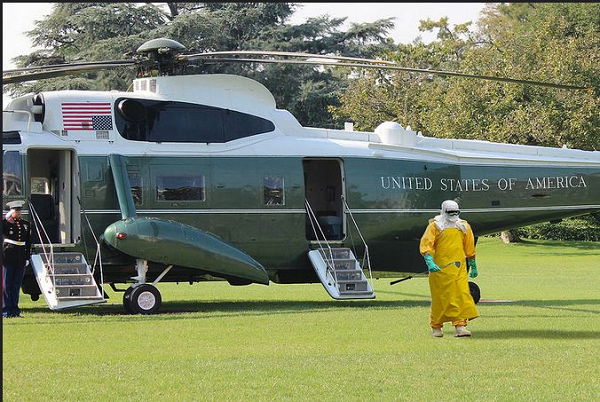 When the US government buys 160,000 hazmat suits specifically designed against Ebola, just ahead of the worst Ebola epidemic in history making US landfall, one wonders: what do they know the we don't? Producerande silverbolag måste ha ca $20/oz för att gå runt. Hur länge till kan priset för silver vara under produktionspriset är frågan alla ställer sig. I USA har skillnaden mellan hög och låginkomsttagares förtroende aldrig varit större. 200 år av Empires som styrt världen. Det är nu bara en tidsfråga innan Kina är tillbaka på tronen. Räntan på noll och skulderna på all time high. Hur går vi vidare från detta utan att trycka mer nya penger? Ekonomin inom EU är på väg ned vilket ECB tror sig kunna ändra på med mer nytryckta pengar. Vilket dessvärre inte hjälper vilket Japan och USA har bevisat. Den starka dollarn leder till defltion och därmed lägre börskurser. Frågan är om FED kommer att tillåta deflation då det är deras värsta fiende. Tryckpressarna är snart igång med full fart. In @ 15:15 - After the break, Erin is joined by Steve Keen, head of the School of Economics, History, and Politics at Kingston University, to hear what he’s teaching in his courses and what he believes are the most important macroeconomic concepts for the average person to know. 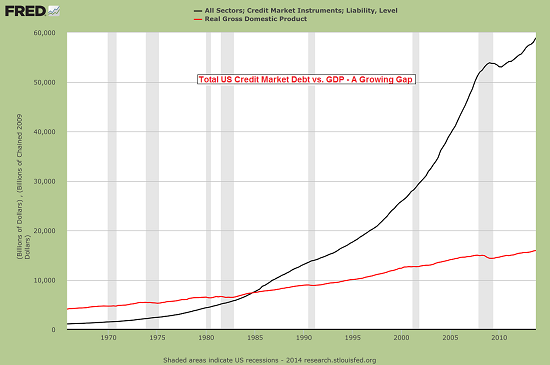 His view: credit should play a central role but it doesn’t. Jim Rickards om vad som kommer hända vid nästa finansiella kris. 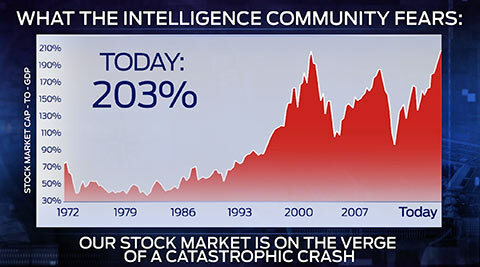 I think this financial panic would be different than the last one. 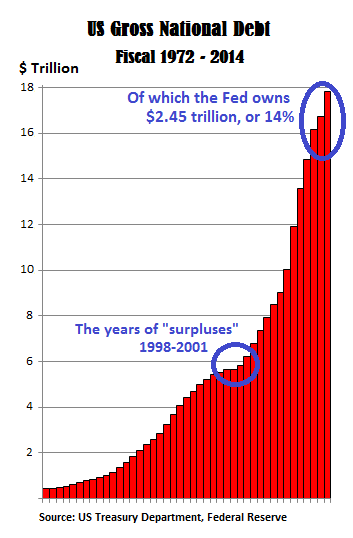 The reason is that in all of the financial panics since 1971 the solution was to print money provide liquidity. But prior to 1971 historically the solution was to shut the doors. To close the stock exchange, close the banks, close funds so you can not get your money. 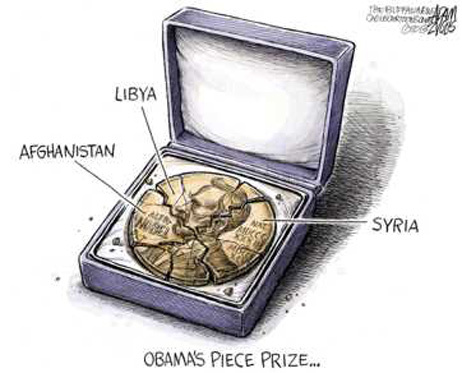 That’s what Nixon did in 1971 he closed the gold door so you can’t get your gold. 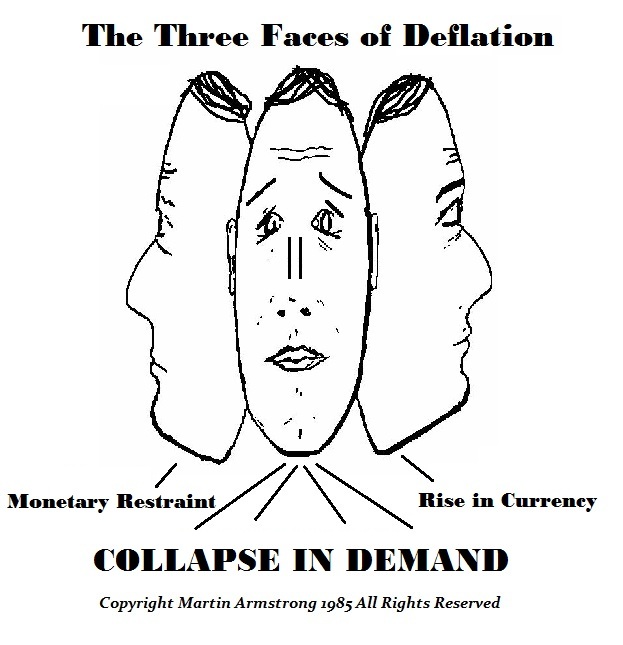 Since then 1987 stock market crash, 1994 Mexico crisis, 1998 Russia LTCM dot com, 2007 mortgage crisis, 2008 panic; in all these crises the solution was to print more money. My expectation is that next time money printing is not gonna work because they can’t print more they have already printed a lot. So they gonna have to go to the old solution. We are already seeing this. For example, the SEC passed a rule last month saying that money market funds can suspend redemptions. This is the law. 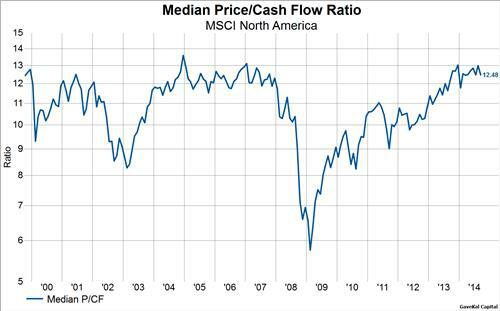 Now if you talk to the US investors who have money market funds they think it is cash. They think they can call the broker today and money is in the bank tomorrow. They gonna find it is not cash. It has actually closed the door. That’s gonna be a shock. 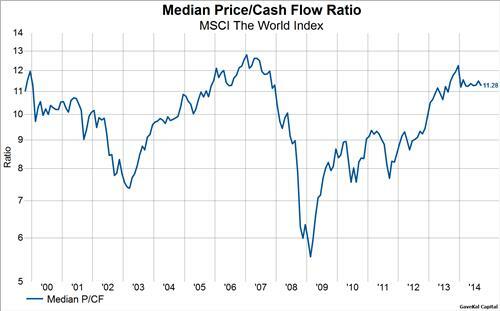 So the financial panic itself will be as always a shock.... 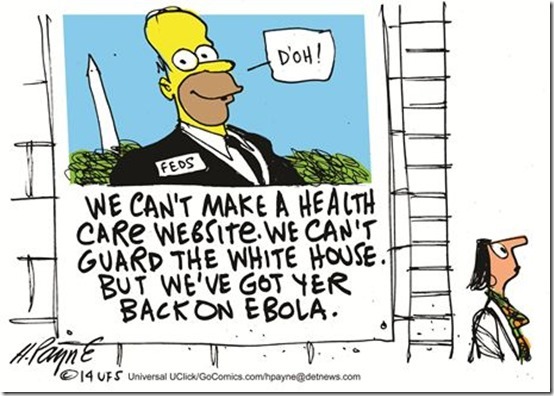 But the remedy is not gonna be printing more money. They could print SDRs but that is a little experimental. But, maybe in this case, they have to start closing things down. Which in the distant past that was always what they did.